The eyelids protect the eyes physically through lid closure and by spreading the tear film. Below are some lid conditions which can lead to redness, irritation or pain, and possibly affect your vision. - The oil glands in the lid can get infected or blocked leading to a red painful bump in the lid. A hordeolum, or stye, is an infected external oil gland at the base of the eye lashes. A chalazion is caused by a blocked oil gland deeper in the eyelid called a meibomian gland. Treatment usually starts with antibiotic and corticosteroid eye drops or ointments. An injection of corticosteroid may be helpful. It is sometimes necessary to surgically drain a chalazion that does not resolve with medical treatment. Recurrent chalazions may require a biopsy. - Blepharitis is inflammation along the eyelid margins which can cause redness, burning, irritation, and may be associated with Dry Eye Syndrome. It can also be associated with styes, chalazions, and marginal corneal ulcers. Blepharitis can be associated with rosacea or seborrheic dermatitis, or it can be caused by a bacterial infection along the eyelid margin. Blepharitis caused by a bacterial infection is treated with antibiotic ointment or drops. Chronic blepharitis requires daily lid hygiene maintenance. Lid hygiene is performed by using a clean, warm, wet wash cloth with diluted baby shampoo to gently wipe the lids and lashes clean. This should be performed twice a day with the lids gently closed so as not to harm the eyes. - Drooping of the upper eyelid is called ptosis. The lid can droop enough to block vision. Some people may be born with a droopy lid. While some causes of acquired ptosis may be related to a more serious underlying medical problem, the majority of acquired ptosis is caused by age related changes to the eyelid. It is usually caused when the connection to the muscle which lifts the lid is stretched and worn out over time. Surgical ptosis repair may be medically indicated if the lid is droopy enough to block vision. Another lid condition which can block vision is dermatochalasis. Dermatochalasis is when there is an excess of skin in the upper eyelid which droops over the eye. Advanced dermatochalasis can block vision. Corrective Lid Surgery may be medically indicated if dermatochalasis is severe enough to block vision. - Age related changes to the lower lids may result in poor positioning of the lower lids. When the lower lid is loose and turned outwards, this is called ectropion. Ectropion can lead to eye redness, dry eye, and excessive tearing. The lower lid can also be loose and turned inwards, which is called entropion. 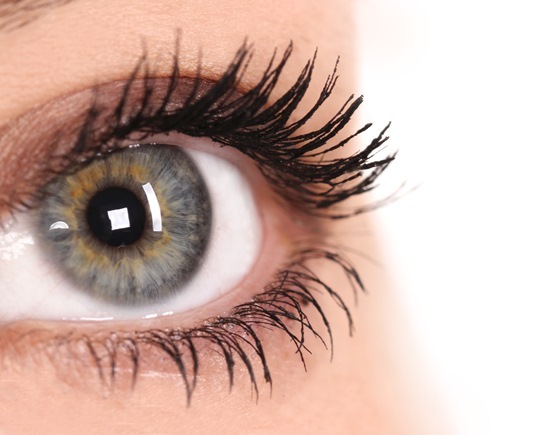 When the lid is turned inwards, the eyelashes rub against the eye and can cause redness, tearing, blurry vision, irritation and pain. Acquired ectropion and entropion is most commonly a result of age related changes which leads to a loosening of the connective tissue of the lower eyelid. Corrective Lid Repair of entropion and ectropion may be medically necessary if they are advanced enough to cause eye symptoms.